Often overlooked by gamers, clear, quality sound is essential for having legendary gaming experiences, especially with multi-player games… No matter where you’re playing from or what system you’re using, a good gaming headset can sometimes make the difference between a well-coordinated win and humiliating defeat. Getting the best headset for gaming is quickly becoming a near necessity for competing against gamers of any skill level, and also gives one a new-found appreciation of a game’s sound. I mean, nothing beats feeling true-to-life rumbles as you trudge through the war front or climbing a ladder in StarCraft. After all, what’s the point of having great game graphics if you’re listening to the audio through less-than-premium speakers or headphones? Not all gaming headsets are created equal, though, and when it comes to audio you generally tend to get what you pay for. Headsets come in all shapes and sizes, so you’ll have to find one which complements your gaming rig setup while fitting your budget. Before we dive into our top choices, let’s look at how we chose our list of the “best” gaming headsets. Firstly, when determining our list, we considered the sound quality of the headset. The sound is a critical part of one’s gaming experience. Our second consideration was value-for-money. We always want to make sure you are getting a first-class audio experience, no matter the budget constraints that might affect your ideal gaming rig setup. Overall build quality also played a starring role in how we approached the headsets we reviewed and tested for this list. If you’re going to invest your hard-earned dollars into something, you expect to get something that can provide value in terms of longevity. We also considered how comfortable the headset was, and its effects on long gaming sessions; this has become a key criterion for buying gaming headsets these days. The dream of gaming for hours on end in the comfort of our own homes can only be realized if we’re comfortable. Lastly, we examined the additional features the gaming headset can provide to the gamer. This could be Bluetooth connectivity, so you can choose to ignore calls mid-game, or charging wireless headsets whilst in use, or customizable EQ options. The SteelSeries Arctis Pro is the one to buy. This high-end gaming headset can deliver an outstanding frequency response range (10-40,000 Hz), which is more than the human ear can perceive. This results in audio far richer than most other gaming headsets, making the Arctis Pro a great all-rounder, perfect for anyone who switches between gaming and other PC usages. The design of the Arctis Pro is quirky and comfortable, offering more of a headband style than other headsets. This makes it very wearable after long gaming sessions, although the headband tends to lose its elasticity after months of heavy use. However, what makes this headset stand-out is the GameDAC, a digital-to-analog converter that not only lets you change volume and audio settings, but it also takes the processing of the headset away from your gaming rig hardware. This allows the headset pump out higher-resolution, less compressed audio than you would get from a typical USB or analog connection. The downside of this amazing headset is the porous fabric on the ear padding, which doesn’t isolate much noise. The Arctis Pro gaming headset is best enjoyed in a quiet environment. It also doesn’t offer the wireless freedom and ease of use offered by the similarly designed Arctis 7. The other downer is that it plugs into your console or PC via USB, so cord length can be a problem, depending on the setup of your gaming rig. Surround sound not that great. The Razer Nari Ultimate is a comfortable, top-of-the-range, feature-packed headset that – unlike many other headsets – justifies the asking price. And that’s saying something because this is a pricey piece of work. The THX Spatial audio means the sound is not just crisp, but the feeling of being inside the gaming world you are playing is unrivaled, and you can isolate where each sound is coming from while you are gaming. There are no sound cut-outs from the wireless connection, thanks to an impressive 2.4GHz connection. The sound quality of the headset is great, and unlike the bass-heavy Kraken series, this headset adds a good mix of highs and mids to your games’ sound. The company’s new HyperSense technology leaves you feeling like you’re wearing a pair of subwoofers on your head. Although the haptic feedback polarizes gamers, it’s a cool extra that does slightly improve the gaming experience. Sure, it’s expensive, but if you can afford a great, high-end wireless headset, it really is worth the money. 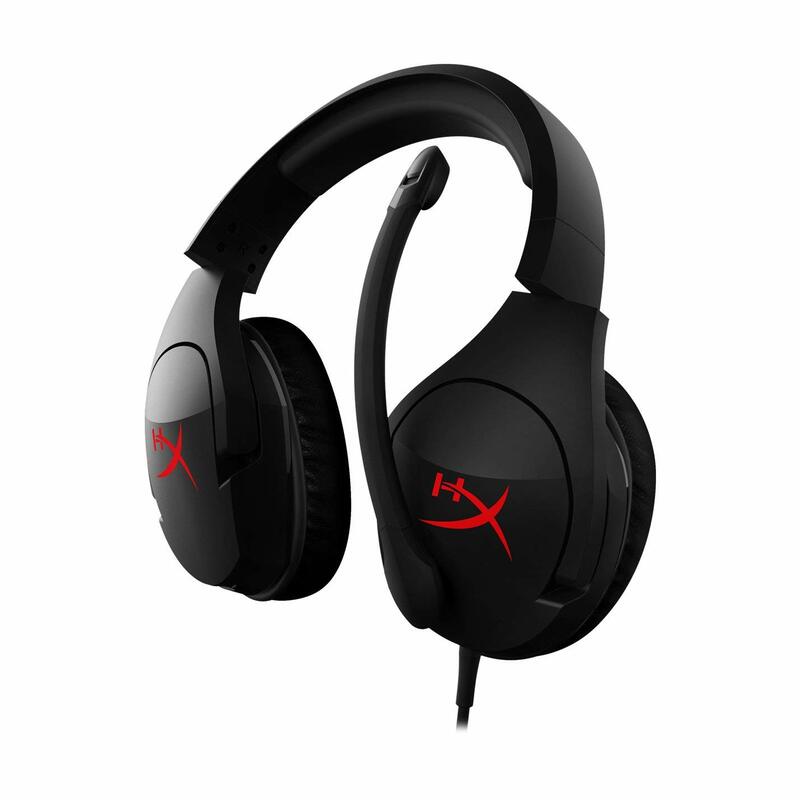 The HyperX Cloud Stinger is a fantastic budget gaming headset, extremely comfortable and slightly stylish, and a great buy for any gamer with budget constraints. The Stinger is well designed with easy-to-use features and excellent audio quality considering the price. The analog connection does compromise some devices, however, overall this is a great budget gaming headset choice for any gamer. The headset is also well-calibrated for gaming and packs along a noise-canceling mic that performs respectably. 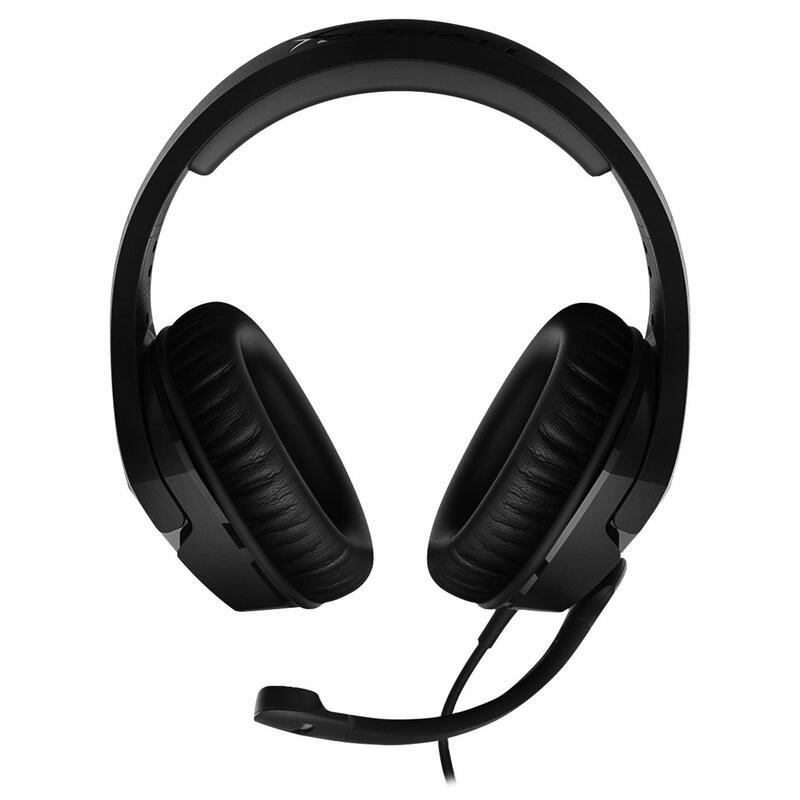 This is a well-balanced headset that is comfortable to wear for long gaming sessions. The Cloud Stinger has padded, synthetic leather earcups and headband padding. The headband padding is also very cushy for a budget headset, and the memory foam inside the ear-cups allows you to experience a very comfortable fit during long gaming sessions. The earcups also rotate, which helps create a comfortable fit against your head and makes the headphones less of a bother when you wear them around your neck. From a distance, due to its well-designed features, the Stinger looks like a high-end headset. However, on closer inspection, it becomes obvious that this is a budget gaming headset. 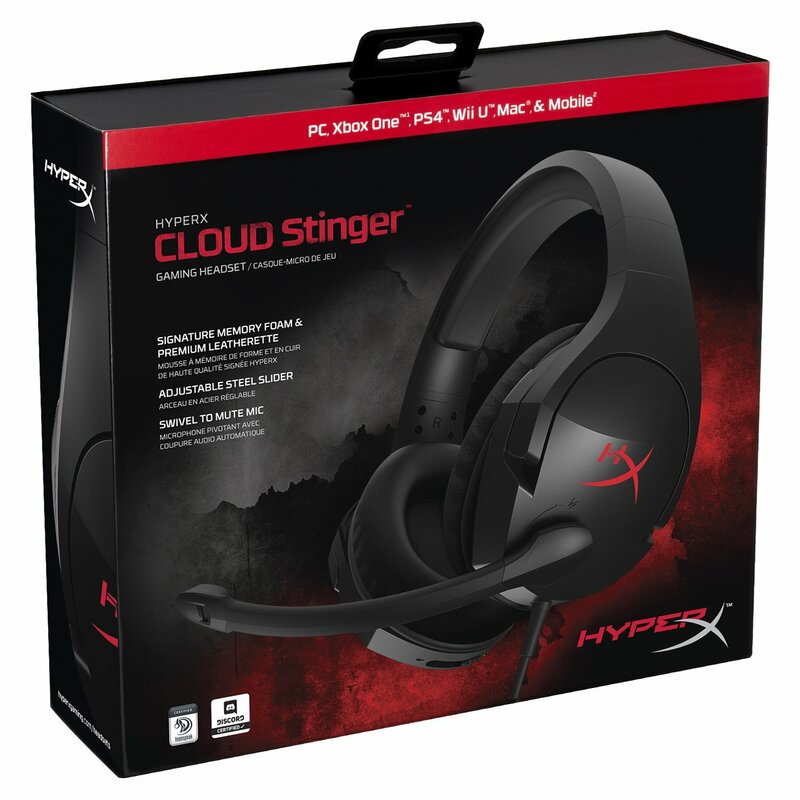 If you’re after a budget gaming headset for your console or gaming PC, the HyperX Cloud Stinger should be at the top of your list. This is one of the most comfortable and great sounding budget gaming headsets you can get. The price definitely won’t sting you. Analog connection quality varies by device. The premium HyperX Cloud Revolver S is a versatile and easy-to-use headset, combining excellent sound with a sturdy build. Although pricey, its sound performance is brilliant, featuring Dolby’s fantastic 7.1-channel surround sound. The basic stereo mix, which is the starting point regardless of connection type or console, is excellent, with a comfortable balance and punchy bass that enhances gameplay and music. The surround sound and EQ features — specifically the bass boost — only serve to further improve your gaming experience. With three preset EQs at the touch of a button, the variety in sound performance is outstanding and easy to change on the fly. However, the headset is a bit bulky and can be tough to adjust and find the right fit, but once you’ve got it in that sweet spot, your ears will thank you. The Revolver S is a true plug-and-play device, with three distinct connection types — 3.5mm, dual 3.5mm, and wired USB — which, collectively, enable the headset to be connected to just about anything. Whilst this isn’t unique to the Cloud Revolver S, its integrated nature is especially imperative to the USB connection, which features a built-in sound card and a control dongle for features like Dolby 7.1 virtual surround sound and EQ settings. The icing on the cake is that the headset is comfortable, with a well-made structure, luxurious padding, and an auto-fitting headband. The amount of detail, comfort, and top-notch sound more than make up for its high price and oddly placed detachable mic, which can be a bit difficult position directly in front of your mouth. But even with this, the reasonable price, incredible sound, satisfying comfort, and creative design make the HyperX Cloud Revolver S one of the best gaming headsets available to gamers in 2019. If you are on a budget, but still want a great no-nonsense gaming headset that prioritizes competitive multiplayer gaming sessions, the Logitech G Pro might be the best gaming headset for you. This headset focuses on great sound quality and comfort and performs where it counts; enhancing your gaming experience. Unusual acclaim must be reserved for the mic, which is one of the best mic headsets available for gamers. Not only does it filter out background noise excellently and articulate your voice clearly, but it also does a delightful job at reproducing your voice’s lower end qualities, to a degree that’s frankly amazing for such a tiny and unassuming detachable mic. 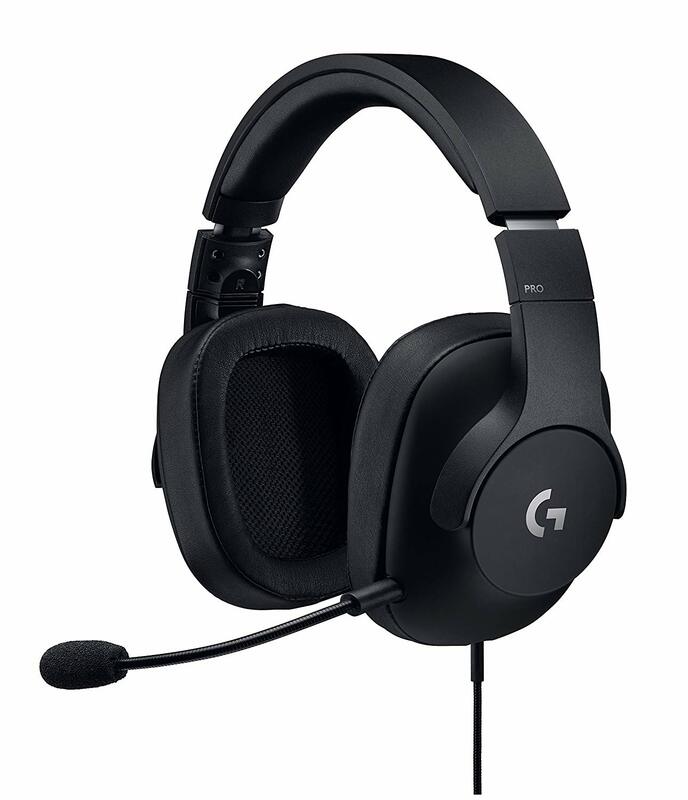 While it lacks the bells and whistles of the high-end headsets, the G Pro is durable, and well designed for lengthy gaming sessions with your PC, Xbox, or PS4. There are no extra control box or fancy features, but the headset does the basics very well. The G Pro’s slightly looser fit and more lightweight design make for an interesting kind of comfort. It’s incredibly lightweight, and does really makes a difference after the first hour of wear. Logitech designed these bare-bones headsets with the help of esports athletes with a view to stripping away all the fat that’s usually found in gaming headsets, leaving a lean package of high-performance essentials. The Arctis 7 is an elegant mid-range wireless headset but is versatile enough to be used with any of the wireless (or wired) audio devices in your home. A like for like an upgrade from the legacy models, this gaming headset comes equipped with improved earcups, head strap, and overall sound. Despite looking and feeling very similar to the Arctis Pros from the same company, it does manage to hold its own comfortably. This headset has a simple construction and sets the standard of what a headset should be; functional, practical and versatile. 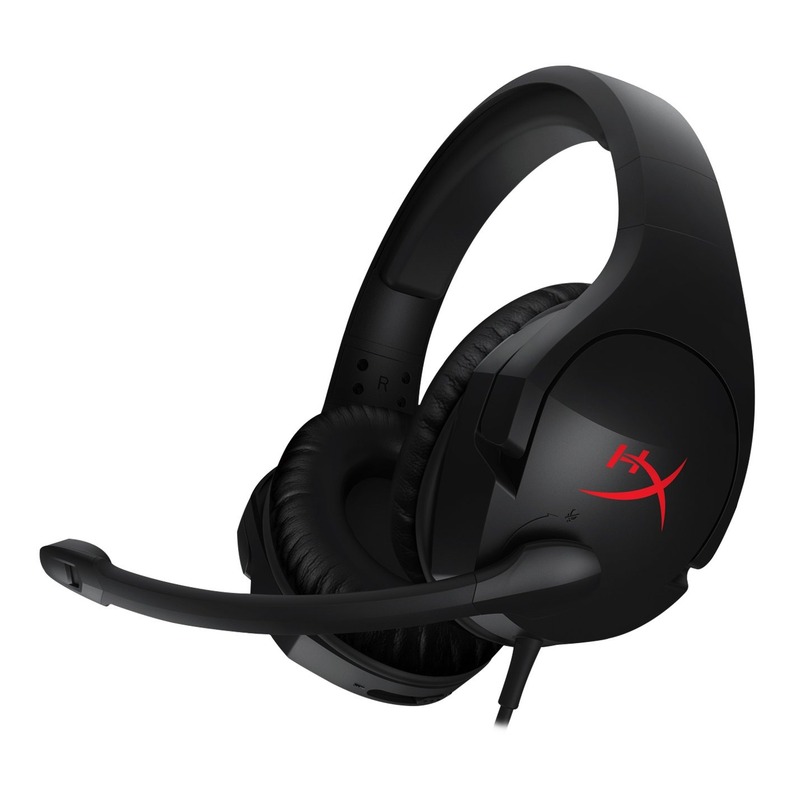 Although, not as versatile as the HyperX Cloud Revolver S.
This headset performs extremely well sound-wise, although it doesn’t have the frequency response range of the Arctis Pro, so the audio isn’t quite as rich. What does impress is the battery life, which gives you nearly 20 hours of use before you need to charge it again. You can also charge while playing, by simply connecting the headset to your PC/console with a USB cable. The distinctive ski goggle headband is effective at keeping the weight of the headset away from your head during long gaming sessions. The elastic band also helps provide a much more reliable and comfortable fit than most other headsets one could get out there. However, after a year of heavy usage, the headband tends to lose its fit and starts to slacken, making for a looser and uncomfortable fit. The bands are however replaceable and can be bought for $15 at the SteelSeries online store. Although the mic can be quiet and muffled (though functional), this is a great wireless option for gamers who prefer a versatile, and comfortable gaming headset at a reasonable price. 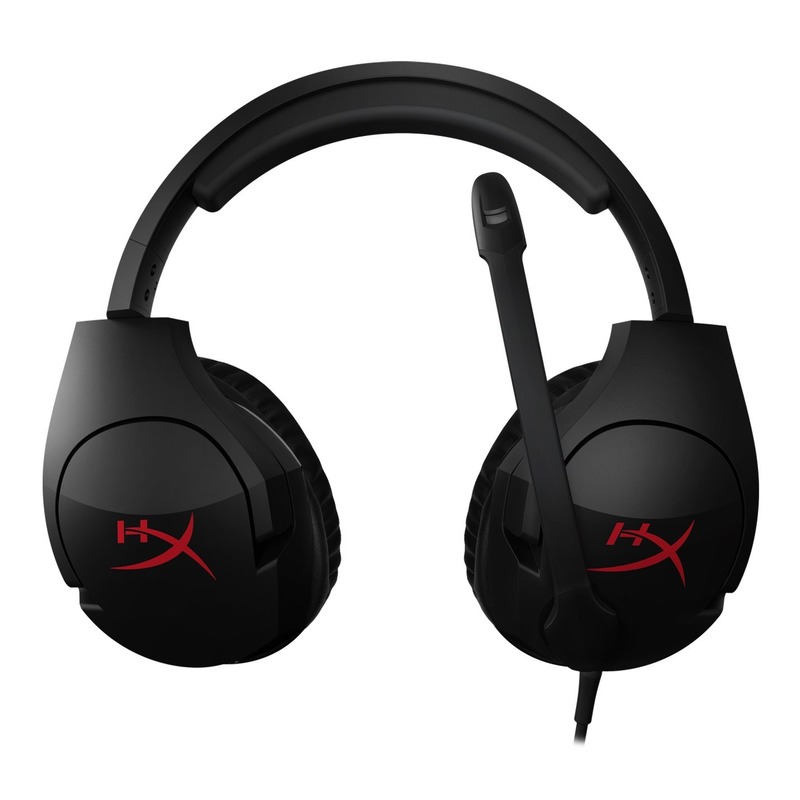 The HyperX Cloud Alpha is a typical gaming headset. While it isn’t stylishly designed, or filled with fancy features, what it does is deliver superior sound and comfort at a reasonable price. The Cloud Alpha offers excellent sound and build quality with the essential features done well, and no feature-flab inflating the price. The stereo soundscape in this closed-back design is effective, and the extra bass doesn’t interfere with overall clarity during gaming sessions. The 50mm driver’s dual chambers are designed to give low, medium and high frequencies space to resonate without interfering with each other, which further enhances the audio, essentially separating the bass from other sound types, allowing for a somewhat richer audio. This is a comfy headset too, with a nice and chunky build, which means that you’re unlikely to break it. There’s an in-line control, instead of a separate box, and it’s fully adjustable for all head sizes and shapes. The mic, which performs well, can be detached too if you’re playing offline. This is a good mid-range pick, with audio and durability at the heart of the design, making it perfect for everyday gaming. Its impressive build quality, generous padding, clear mic, and high comfort levels offer longer gaming sessions than the Cloud design has always offered. The inline controls, however, feel flimsy in comparison to the durable feel of the rest of the package. So how do you decide which of these headsets to buy? How do you know if a gaming headset is a good fit for you or not? There are quite a few aspects to consider when planning to get a gaming headset. The first is ease of set-up, and actual use with your console or PC. While many have the option to just plug in via a 3.5mm connection (easy if you’re using an Xbox One or PS4 controller), others have wireless set-ups or even control boxes to consider. Next up is actual sound quality. 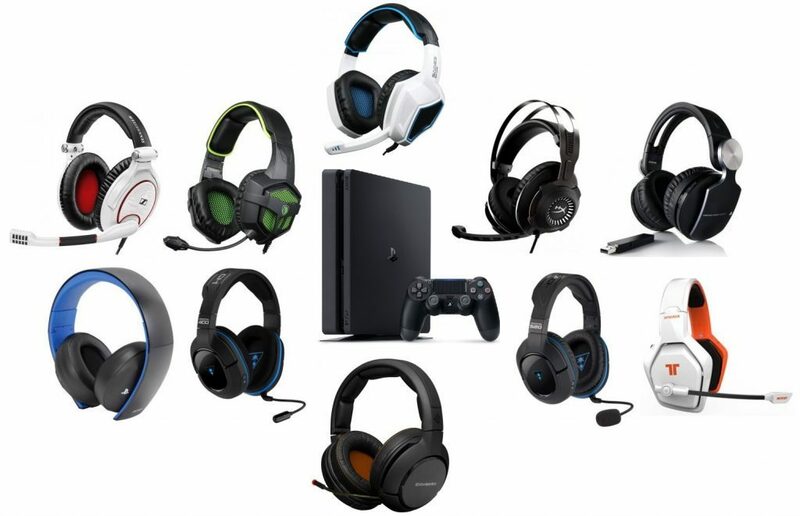 No knowledgeable gamer selects headsets based off ‘how loud does the sound go’ – you must look at a variety of things like frequency response range, surround sound features, and the ability to adjust each headsets’ settings. 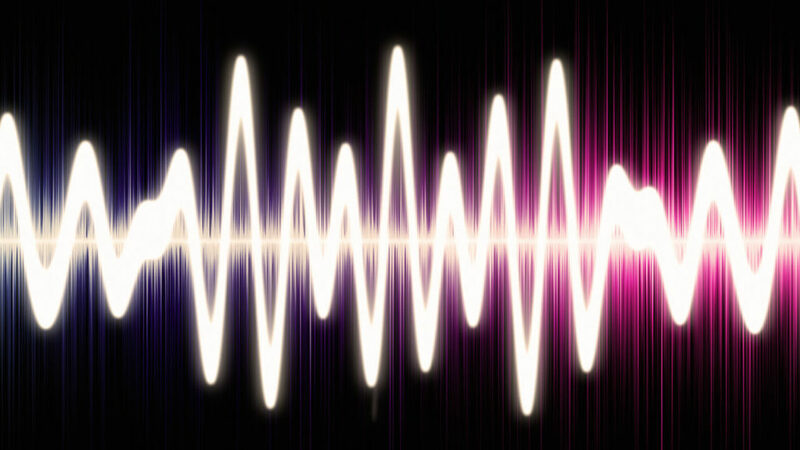 Headsets with the same frequency range can have different sound profiles and may sound completely different. Therefore, it’s important to always test a headset yourself before purchase if possible. A lot of people think that because they have an earpiece on either side of their head, they can listen in surround sound. This just isn’t true, but some headsets do come with 7.1 virtual surround sound technology built in. This helps you gain an edge in competitive games since you can hear exactly where a sound is coming from, giving you a couple of extra seconds to prepare for an enemy. If you’re prepared to spend a lot of money on a headset, there’s no reason to buy one without 7.1 virtual surround sound. This is generally listed in millimeters, and usually, the larger the driver, the more “oomph” your audio will have. With a good sound profile, large drivers can produce stronger bass, but the importance of this specification is often overstated. There are many other things which all play a part in contributing to the audio quality, so don’t buy a headset based on that bigger is always better. Comfort is also paramount to gaming and is not to be underrated, especially for long gaming sessions. While gaming, you really don’t want to be sidetracked by strained ears, pressure headaches, or a cramped neck. It’s important to take into consideration both the cups and the weight of the headset you are planning to buy, as these two factors play a huge role in you wearing the headsets for hours of uninterrupted gaming. If it’s entirely hard plastic, it’ll probably become uncomfortable to wear after a few hours, which is not what you want. Instead, look for a product with well-padded cups and at the very least, an adjustable headband. Your comfort is of paramount importance – no matter how great the audio is, you’re unlikely to use a product that hurts to wear. Remember, we said we have your wallet covered. The hack here is to ask yourself, what are my budgeting to spend on a gaming headset? If it’s low, ask yourself what you value most in a headset, and when reading through our list, make notes of the ones resonate the most with what you want from a gaming headset. Also, make sure you research the customer service reputation of the headset companies, and what other features can you get from other companies within the same price range. What other questions are your fellow gamers asking? What is the best gaming headset on the market? Now that’s a tough one. We picked the SteelSeries Arctis Pro as our best choice of gaming headset in the market. However, every gamer need is unique, or sometimes constrained by budget, which could mean a different choice from what we decided on. To answer this question, it’s important to have a clear vision of the sort of gaming rig you want to set up, and which of the factors in our buying guide is most important for you when choosing a headset. What headset do pro-gamers use? When it comes to extremely competitive online games like CS:GO, headsets are an obligation. Firstly, they allow you to hear even the minutest of sounds, such as muffled footsteps. You can take advantage of this level of detail to know when a rival player is sneaking up on you. Secondly, communication can be the difference between winning and losing. Competitive online games always require clear lines of communication between teammates. To succeed, you need to work together effectively, which isn’t possible without talking to each other. For this reason, most gaming headsets are fitted with a mic, which allows you to pass on important information during the game to your teammates. Wide adoption by pro players is always an indication of a headset’s quality, and by this metric, the SteelSeries Arctis Pro headset reigns as one of the very best. Various pro gamers use it while practicing, as well as during competitive tournaments. They have also spoken about its merits at different times. Some prominent players that are known to have used this headset include “NiKo”, “olofmeister”, and “Kjaerbye”. What’s the best gaming headset for PS4? 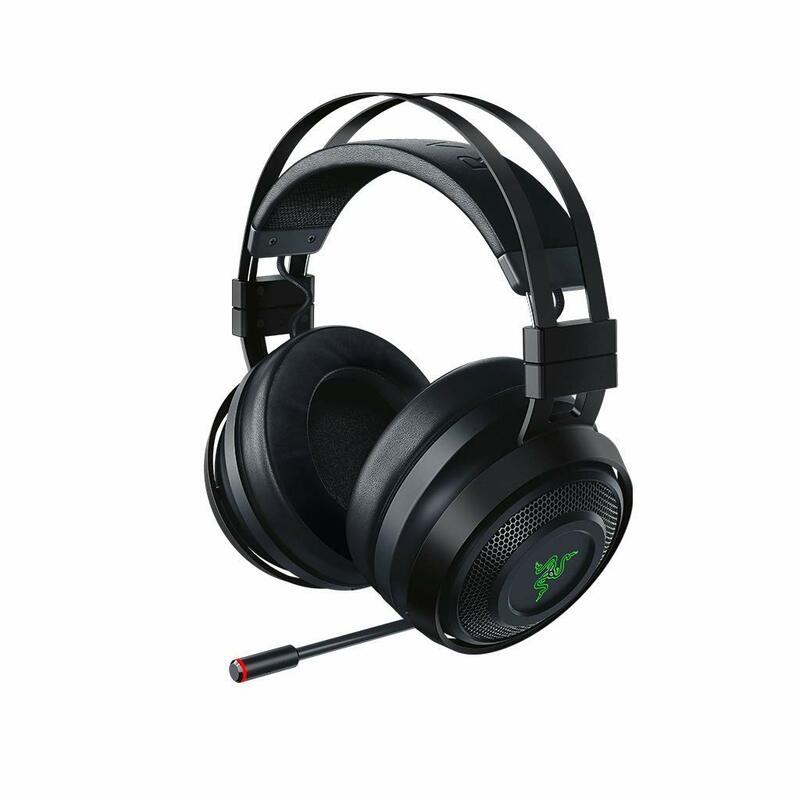 The Razer Kraken Pro V2 is one of the best choices you can make when deciding on a headset to buy for your PS4 gaming console. Its sturdy, and comfortable build combined with a great audio output is a hard combination to beat. That was the short answer. However, there is more than one best PS4 headset. What is the best gaming headset for music? These days, it’s almost guaranteed to get some great sound quality from most headsets, throw in 7.1 virtual surround, and you have a party. Knowing this, you should be fine playing music on most of the headsets we have reviewed here, especially the Razer Nari Ultimate and the SteelSeries Arctis Pro. However, if you are an audiophile or music geek, it might be best to consider studio headsets. These headsets tend to have tunings that render music as clearly as possible, meaning they produce a sound that is often more detailed than the traditional gaming headsets. They however never come with mics.